I’ve done a lot of traveling this spring and summer and a thought struck me as I flew over Kansas earlier this year. 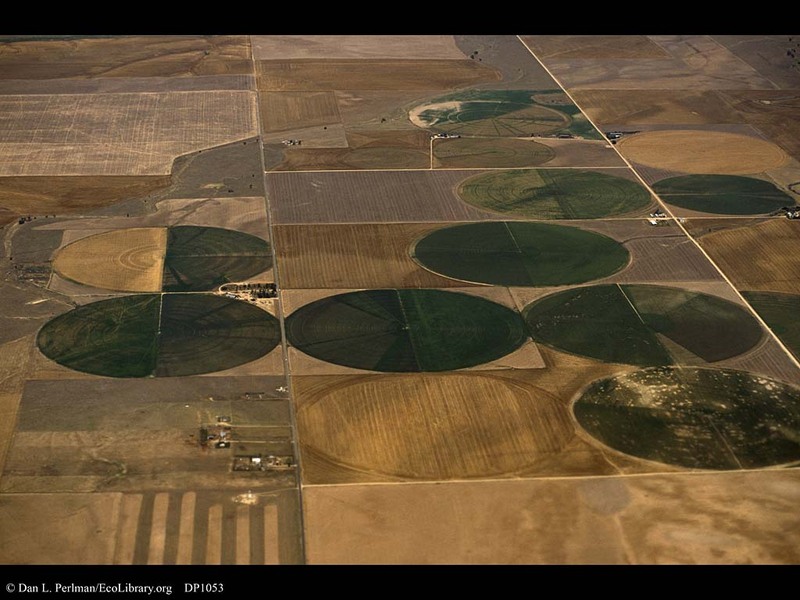 I saw the irrigation circles created in the grain fields in the more arid conditions of the region. And then in a hotel I heard an advertisement for a show about extreme Texas farming, celebrating how some are finding ways to grow crops where it just shouldn’t be possible. And I realized how we laugh in the face of evolution and the Creator, showing her that we know better about how the Earth should work. Then I visited some of my sons’ friends while at Flyway Family Farms, a sustainable farm in Southern Illinois, a couple of months later and I heard stories of the joy they are finding in discovering daily new things about how nature has been doing things to maintain health even though there’s been great variations in the weather from year to year. And as they learn, they discover ways to produce food for us that works in harmony with nature instead of conquering it. Laughing in the face of evolution and the Creator leaves us, among other things, with rapidly emptying aquifers and growing algae blooms from all the chemical runoff. Working in harmony encourages sustainable practices that, if anything, help to bank resources for the next generation. With just a few steps we can start down a path of more sustainable lawns through healthy soil. Along the way, we restore more than just the health of the soil, but also the health of our mind, body, and soul.